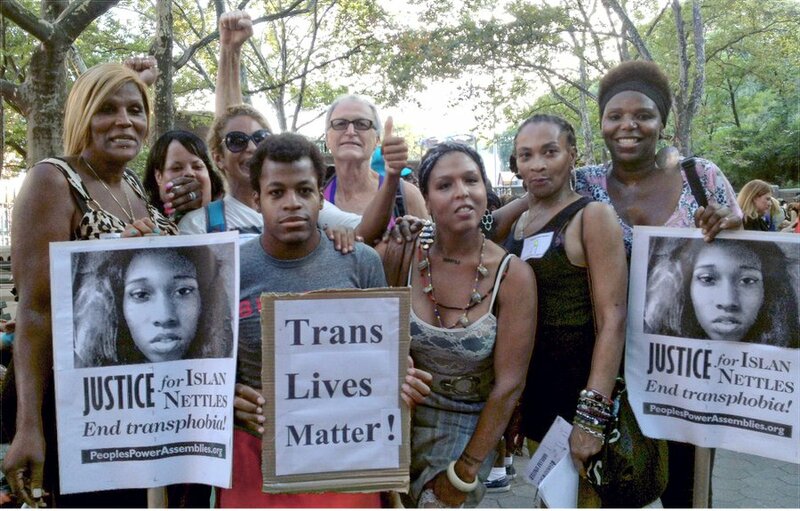 Home » Coast to coast » Vigil held for murdered transgender woman in Harlem, N.Y.
A vigil was organized by Harlem Pride Aug. 27 in remembrance of Islan Nettles and other tragic victims of hate crimes. 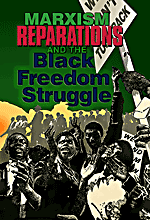 Nettles was a 21-year-old African-American intern assistant designer at Ay’Medici, a Harlem fashion company in New York City. She was also a transgender woman who was savagely beaten on Aug. 17 in a transphobic attack while walking with friends in Harlem. Nettles fell into a coma with a severe head trauma following the attack. 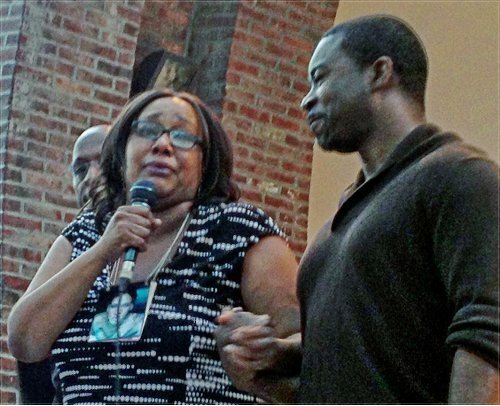 After being declared brain dead, she was taken off of life support and died on Aug. 22 in Harlem Hospital. There has been one arrest in the case so far. Pictured are friends and supporters at the vigil along with Islan Nettles’ mother, Delores Nettles, wearing a photo of her daughter.